No doubt many a home saw a VR headset stuffed under their Christmas tree last December, especially as we saw the three major players launch their first consumer headsets last year - the PlayStation VR, HTC Vive and Oculus Rift. But are they really the best family gift? All VR headset makers advise against letting anyone under the age of 13 go anywhere near virtual reality because of their delicate, developing eyesight. Then again, as it was proven sitting too close to the TV was just parents being over-zealous, are these VR safety guidelines merely the manufacturers covering their backs, or is there a real health risk to younger VR users? What do tech companies say about children using VR headsets? Potentially the most popular virtual reality headset for the everyday household is the PlayStation VR, or PSVR, but sadly Sony is actually the strictest with its age restrictions. "The VR headset is not for use by children under age 12," reads its safety guidelines for PSVR. For those with impressive gaming PC rigs, the options are the HTC Vive and Oculus Rift, both of which aren't recommended for use by children at all. The Oculus Rift is only for use by those aged 13 and up, mirroring what its parent company Facebook says about restrictions on its own social media service, for some reason. The same goes for the Oculus powered Samsung Gear VR headset too, which apparently isn't designed for anyone under 13. HTC's guidelines for the Vive simply says that "the product was not designed to be used by children", citing potential harm to themselves or damage to the product as the reason why. Oh, and also potential choking hazards, whatever they may be on the giant headset and its sizeable controllers. It also adds that older children wishing to use the headset should be monitored and "avoid prolonged use of the product". In fact, the only virtual reality headset that is actually suitable for children under the age of 12 is the Google Cardboard- the most affordable of the VR headsets and powered by both Android and iOS smartphones. "Cardboard is not for use by children without adult supervision," says Google on the topic, with the added advice to "take frequent breaks" and exit the VR headset if the user has any "discomfort, eye strain or disorientation." Google in particular is really pushing to get its Cardboard VR viewers into schools, getting kids involved with its Expeditions software that lets little explorers go on a journey to places like the coral reef, the surface of Mars and more. But there are also places that are using virtual reality in therapeutic ways, helping those with PTSD or depression, curing flying fears or even as an aid for autistic children. What are the potential risks for children using VR? What's interesting is that despite all those safety warnings, none of the manufacturers really outline why the little ones shouldn't use their virtual reality headsets. The problem is, the technology is so new that no long-term studies have been carried out as yet to assess what potential damage could be done to any users. However, many studies have started to look at the connection between using virtual reality headsets (and other devices like smartphones) and potential eye damage, particularly the rise in myopia, or nearsightedness. For those blessed with 20/20 vision, nearsightedness is where close objects appear clear but anything far away will be blurry. According to a US study, nearsightedness for those aged 12 to 54 has risen dramatically between 1971 and 2004. That's because we now spend more time doing work that requires spending hours and hours staring at screenswhen using a computer, reading or playing videogames. You can see the potential connection between myopia and virtual reality headset use as you're staring at two screens just two-inches from your eyes, but actually your eyes are having to do something a lot more complicated. Using a smartphone is merely forcing your eyes to focus on a close object, but with VR headsets you're simultaneously focusing on the screen close to the eye, but also on the simulated image on the screen that's setup to look far away. Because of that, the initial suggestions are that VR headsets aren't actually as bad for your vision, specifically, as using a smartphone or computer. However, another potential issue for using VR headsets is what's called "vergence-accommodation conflict". It's a fancy, complicated-sounding thing, but what it actually has to do with is the way your eyes focus, and it's pretty much an issue that's exclusive to using VR. What happens is that when you look at an object, your eyes naturally converge on it if it's close, or diverge if it's further away - that's the vergence part. Then your eyes focus on the object, which is the accommodation bit. "The visual system has developed a circuit where the two responses talk to each other," said Martin Banks, professor of optometry, vision science, psychology, and neuroscience at the University of California, Berkeley at the SIGGRAPH conference back in 2015. "That makes perfect sense in the natural environment. They're both trying to get to the same distance, so why wouldn't they talk to one another?" However, when you're wearing a VR headset the 3D images they create are slightly offset to create depth. The more offset they are, the closer the object appears. But in order to see them, your eyes are both accommodating to the screen and converging to a contrasting difference. Your eyes are more than capable of doing this, but they won't be happy about it for long, meaning some serious eye strain could be on the cards. "Everything I have seen suggests it is all short-term and you readjust after you take that headset off," said Professor Banks, who published a paper on the issue back in 2008 with some colleagues. "But I think it would be unwise for us to say there is no problem." Do the same risks apply to adult users? 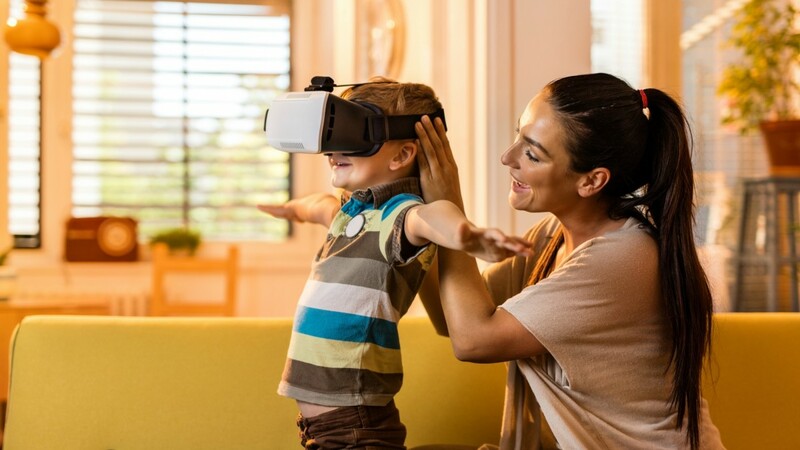 These issues aren't merely isolated to children, adults will suffer from similar discomfort from prolonged use of VR headsets, but it's more prevalent for children to be aware of. That is because kids' eyesight is still developing and their vision can change - and be damaged - a lot quicker than those who have reached adolescence and adulthood. There's also the design of the VR headsets themselves, particularly the more expensive options like the PSVR, Oculus Rift and HTC Vive, have been specifically created for adult-sized heads and the lenses positioned accordingly. Many of the experts believe that the manufacturers are merely being overly cautious to avoid complications further down the line. "I have seen some where they're really just pretty ridiculous," said Professor Banks. "One company offers a warning to pregnant women considering using a VR headset. Why would that be? They are just being really, really cautious." Are experts looking into the effects of VR on children? There are plenty of studies being carried out on the effect of VR both on children and adults, and working out which of its myriad potential uses will be the best to focus on going forward. "We haven't really yet got to the stage where people have been using virtual reality for prolonged periods of time - over, for example, periods of weeks or months - to identify with any clear certainty any long-term effects of virtual reality," explained Sarah Sharples, professor of human factors at the University of Nottingham, who claimed at SIGGRAPH that more research is definitely needed. She was very wary of linking any side-effects users have from using VR headsets, including nausea, eye fatigue, headaches and more with potential problems, as there isn't enough evidence as yet: "The key point is, there are effects but are they detrimental?" Stanford University has set up a special lab that's looking into the psychological effects of virtual reality on children, especially when it comes to make believe and adjusting between the real and virtual worlds. They've been studying the effect of virtual reality on children for over a decade, and although they've published several papers, including one looking at the false memories children make when discovering virtual reality experiences, none have outlined any lasting issues when using virtual reality as yet. What can parents do to make things safer? 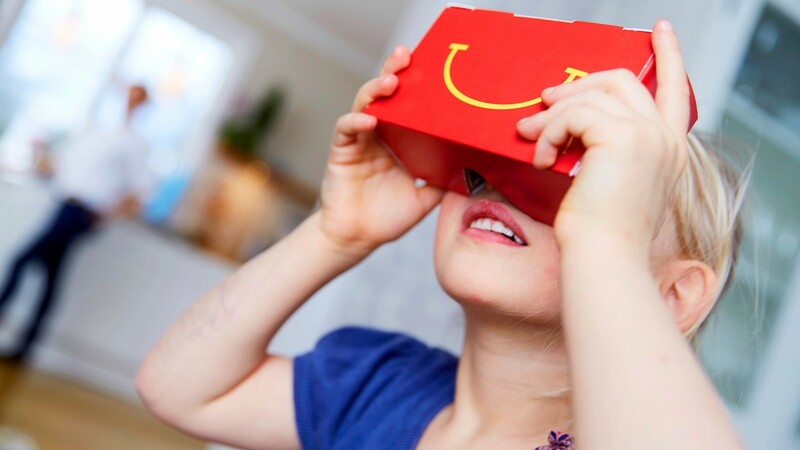 The most important thing for parents to do if they want to allow their child to experience VR is making sure they're always supervised and limit sessions to half hour bursts to reduce the risk of eye strain or fatigue. It's also worth considering which headset is right for your child depending on their age and situation. Google Cardboard is easy to use and light, but has to be held by the user. The Samsung Gear VR and Daydream View are both still fairly light, but are strapped to the user's head for security. Headsets like the Oculus Rift and PlayStation VR tend to be seated experiences, but far more intense and expensive, so will need parents to assist with the fitting and security of the headset. The HTC Vive is a room-scale VR experience that allows you to wander around in the virtual space. This will need significant monitoring as there could be potential hazards around your child as they explore and interact with the controllers, they may get tangled in the wires or damage the PC or headset if over-excited. You should also make sure that what the child is playing is appropriate for their age. Some of the experiences available contain bad language, violence or even the potential for virtual abuse, so make sure you've tested the content before you let your child play through them. "Absolutely, there are potentially negative effects of using VR," added Sharples. "The most important thing that we should do is just to be cautious and sensible. But we shouldn't let that stop us from taking advantage of the massive potential this technology offers as well." Does your child use a VR headset? How old are they? Or have you seen any research you think we should know about? Have a chat in the comments below. Company: Shenzhen Julink trading Co., Ltd.
Add: Room 23G, Unit 2, Building 3, Zhenye Tianluan, Baohe Road, Longgang District, Shenzhen City, Guangdong Provice, China.